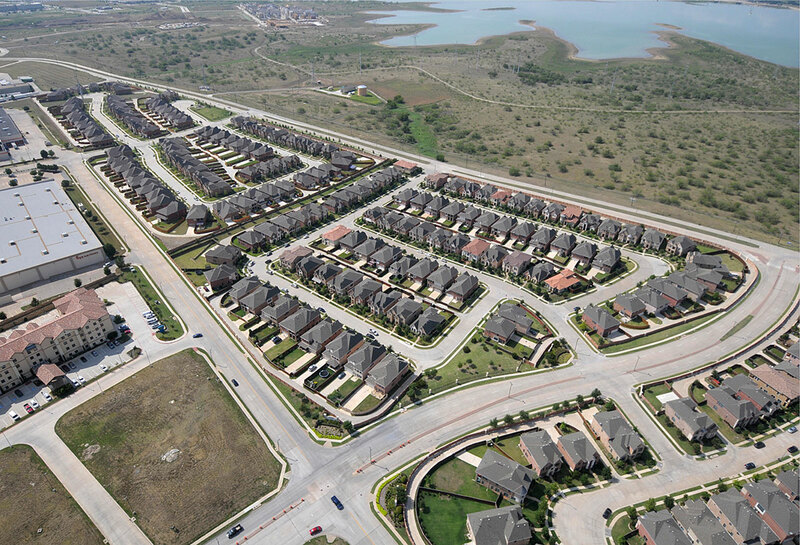 In 2010, Hines and GoldenTree InSite Partners acquired the Villas at Emerald Park, a 24-acre single-family residential site that includes 92 lots in Las Colinas. Hines finalized the engineering plans, completed the lot infrastructure improvements, and delivered the finished lots over a 30-month period in 2011. Located in the northern edge of Las Colinas, Villas at Emerald Park offers quick access to LBJ Freeway, Highway 114 and I-35, and is less than 10 minutes from DFW Airport. Emerald Park is served by one of the Metroplex's top-rated school districts, the Coppell ISD, and Las Colinas is home to several Fortune 500 companies including ExxonMobil, Kimberly-Clark and Fluor world headquarters.